The number one reason why people lose their teeth is undiagnosed periodontal disease. In fact, we know that 90% of all adults have various levels of periodontal (gum) disease. The disease begins without warning, and in its early stages causes gums to become sore, bleed easily, and contribute to bad breath. As it progresses, teeth loosen and separate; your bite changes and teeth are eventually lost. It is our philosophy that, with the judicious application of these therapies, we can best help our patients. We firmly believe our patients benefit from a more conservative approach rather than an aggressive surgical approach. Your comfort always remains our first concern. Our goal is to diagnose the progression of gum disease and offer an opportunity for you to minimize bone loss and preserve your smile for a lifetime through our Periodontal Maintenance Program (PMP). The PMP is designed to create a customized regimen for your condition that will include treatment at the office as well as specific home care. This program is highly effective in the treatment as well as in the prevention of periodontal disease. This data is recorded into our computer charting system. At a glance, we can review data that show the changes that have occurred between visits; maintained health, disease progression over time, and improvements in periodontal health as a result of treatment. One of the main benefits of the computer charting system is that it quickly and accurately gives us the information we need to tailor our treatment approach. Considered upon reevaluation of non-surgical therapy and only after all non-surgical therapies have been attempted to treat the condition. Never before in dentistry has there been more emphasis placed on periodontal health with respect to overall health. 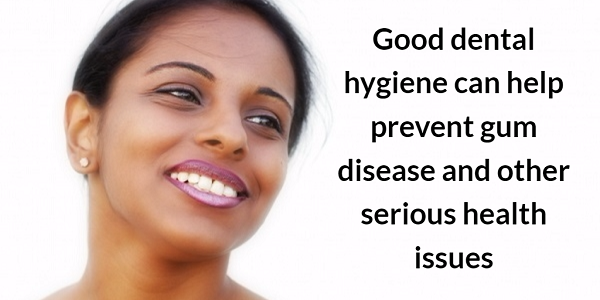 Recent research indicates there may be a link between gum disease and other health concerns. Preliminary studies show that people with periodontal disease are more likely to suffer a fatal heart attack, and nearly 3x more likely to suffer a stroke. It has long been known that people with diabetes are more susceptible to bacterial infections like periodontal disease. Recent studies reveal that moderate-advanced periodontal disease makes it more difficult for diabetics to maintain proper blood sugar levels. There is also some indication that periodontal disease may put pregnant women at increased risk of pre-term birth and low birth-weight babies. Additional research suggests that the bacteria that cause gum disease can be a contributing factor in people who are susceptible to bacterial pneumonia, such as people prone to respiratory infection, those with compromised immune systems, or the elderly. These well-researched and documented findings suggest potential links between the bacteria that cause periodontal disease and systemic disease. It is our belief that the prevention of gum disease is an important step in maintaining overall health, as well as in the function and appearance of a beautiful, healthy smile. For a consultation to discuss your periodontal health, please call 212-452-3344 or contact NYC Smile Design using the form on this page. Dr. Mello and Dr. Tabib serve patients in Manhattan and other areas of New York City.